The tour made scrumptious stops at La Terazza, District 6, The Loft and Petit Brugge. I love the concept of touristy big buses that take you from one tourist attraction to another in a day and provide you with a brand new look of the city you live in. 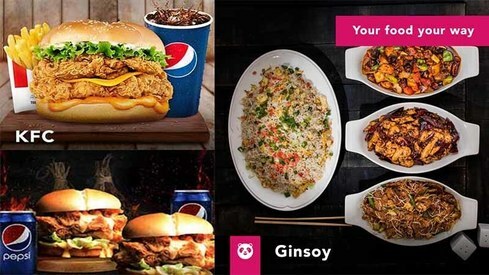 I also love food so when I heard that foodpanda is arranging a food tour in Islamabad, I was overjoyed and sold to the idea immediately. I skipped snacks all day to keep my appetite for the grand food fest on the day of the tour. We reached the first stop at around 7 pm. Interestingly, most of the guests on the tour were foodies and bloggers, which was an interesting experience because most conversations revolved around how blogging has revolutionized the marketing industry. 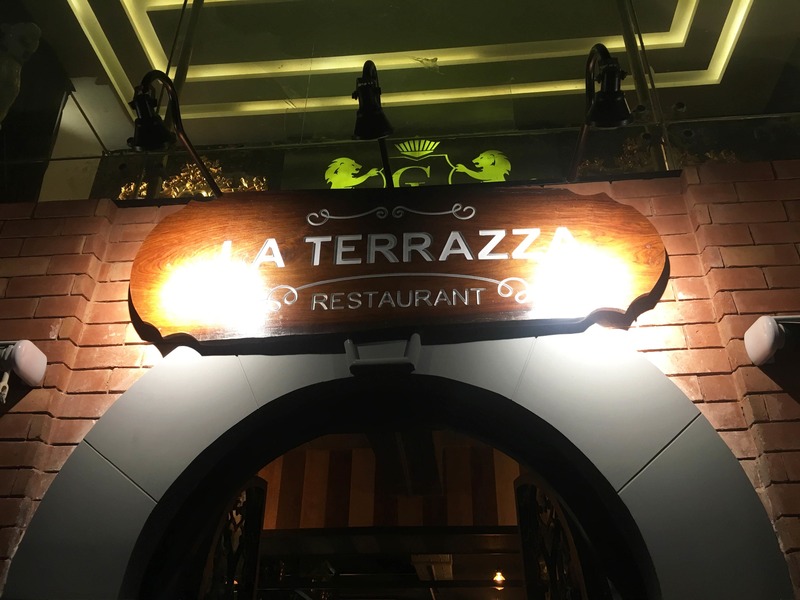 The first stop of the Good Food Tour was a new branch of La Terazza, next to Roasters in F-7. Since this branch is quite new in the capital, the space seemed like it was reserved for the 20 or so people on the tour. Guests were welcomed with delicious passion fruit lemonades, which were unique in flavor and had a very fruity taste with the base of a fizzy drink. 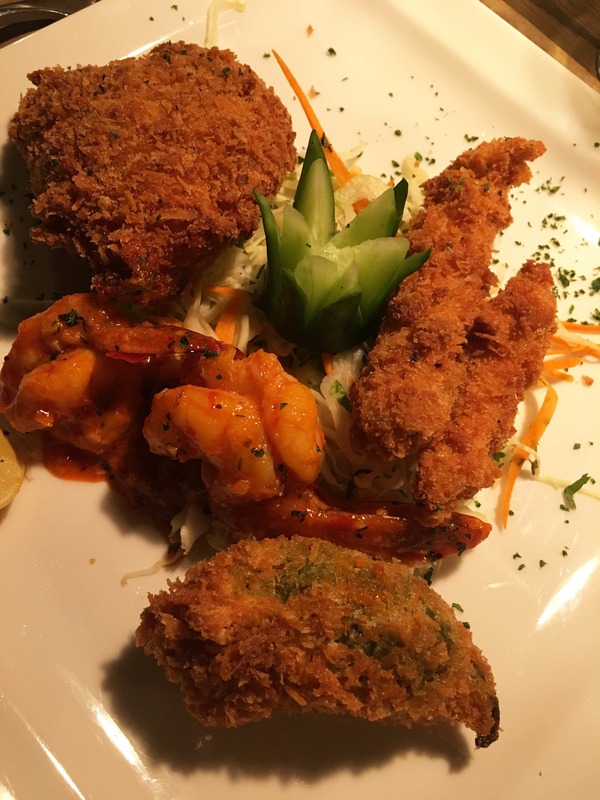 Next up, guests were served a special platter designed specifically for the food tour; this had stuffed jalapeno, buffalo blast and chili prawns. The serving of the platter was quite extravagant considering it was supposed to be an appetizer. The buffalo blast (crispy fried chicken strips) were delicious – just the right kind of crispy with appetizing dips to make the taste stand out even more. Stuffed jalapenos were finger licking good. The outer layer was perfectly crispy and the jalapenos were spicy, rich and delectable. The prawns, however, were decent but nothing to write home about. I just felt like they could have served more diverse items on the same platter because the crispy fried element made most of the items taste similar. 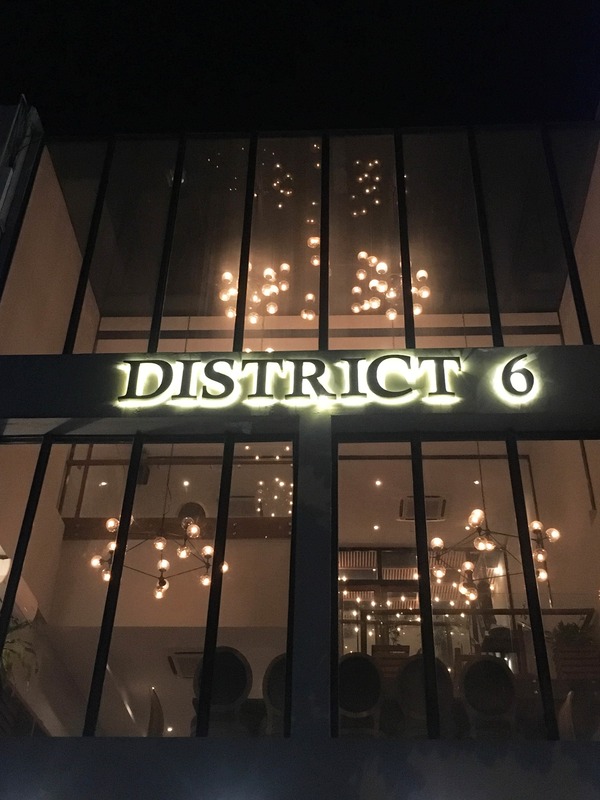 District 6 was the second stop of the tour. The eatery took a while to get our orders to us but this gave everyone enough time to converse and let the first serving settle down (a bit). On the menu we were told we are stopping here for chicken tacos and beef sliders but they surprised us with a serving of nachos as well, which was a great surprise. 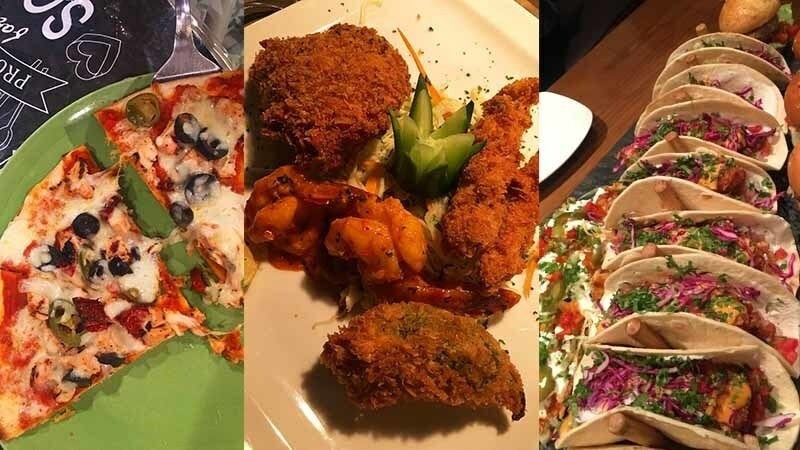 While the nachos tasted just right, unfortunately they had turned a little soggy by the time they got to us and hence didn’t make it to the list of favourites we remember from that night. I wasn't quite surprised by the sliders so they didn't make it to my list of must-haves here. 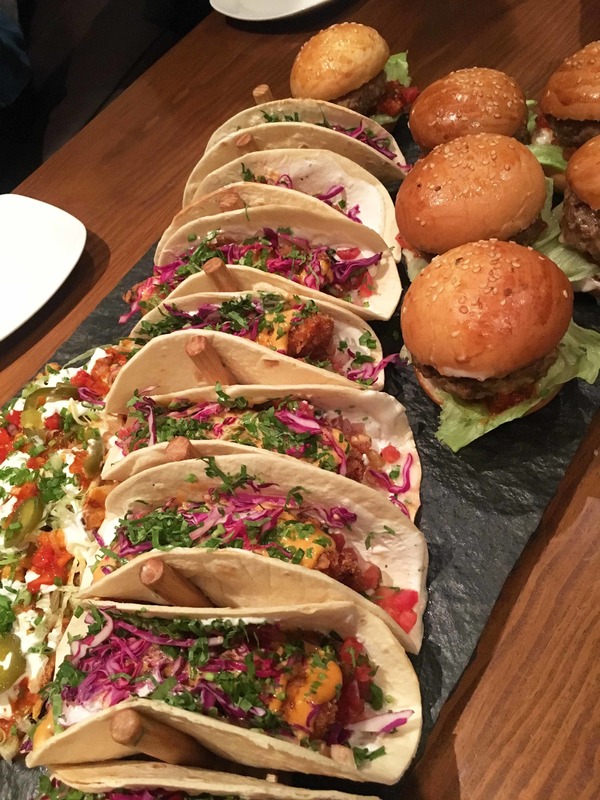 The tacos, on the other hand, were an absolute delight. They were essentially a fiesta flavor party in the mouth with the right kind of wrap filled with some colorful veggies and a hearty filling of fried chicken all combined together to make a memorable flavor! 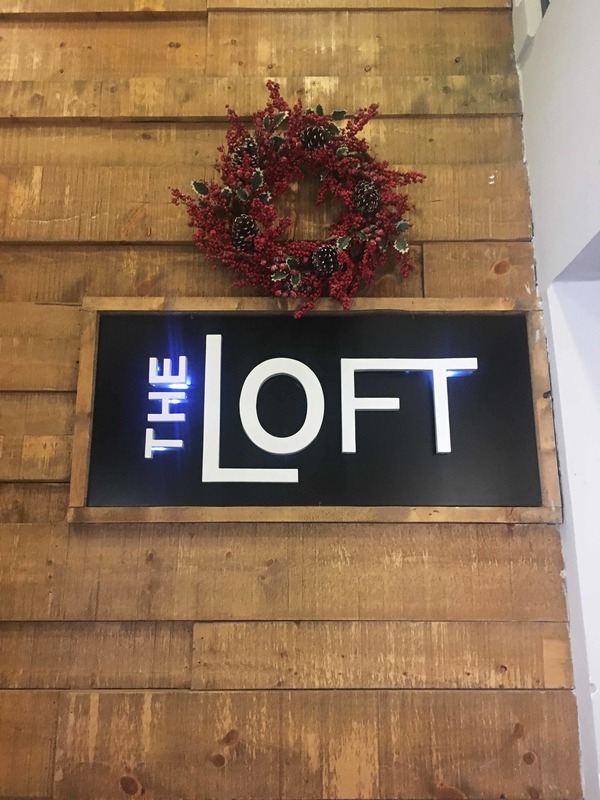 A chic little restaurant, The Loft was our third stop of the day. Most of us were full by the time we headed to The Loft for the main course but the tempting menu made everyone run to the buffet as soon as it was served. 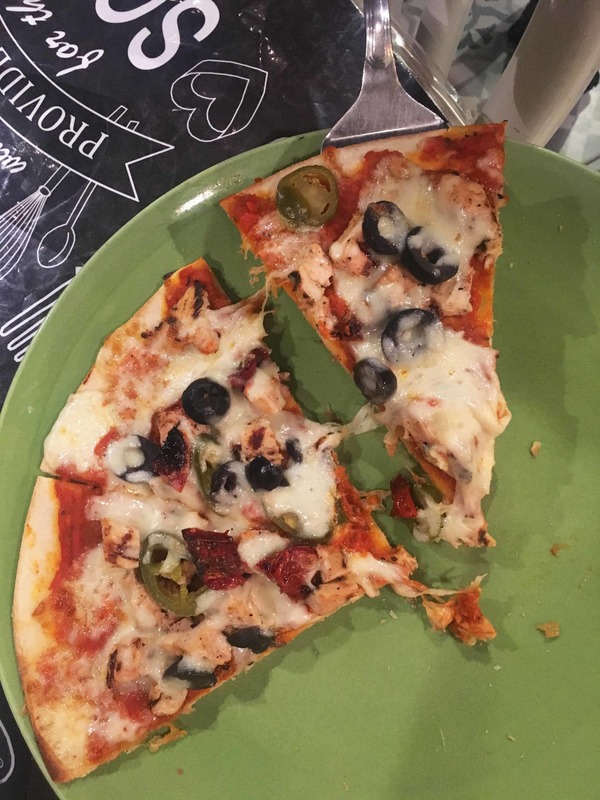 They got us perfectly thin crust pizzas full of flavor on our tables and displayed a buffet for all the pastas; alfredo, lasagne, mac and cheese. The pizza had set my expectations so high that the alfredo and lasagne didn't woo me too much. The mac and cheese, however, was the best I have had in the capital. It had elbow pasta smothered in cheese sauce with cubes of chicken, and was just the right kind of comfort food anyone would want on a Friday night. Petit Brugge was our last stop that night! A walking distance from The Loft, it only made sense to head to a place close by for dessert. Petit Brugge is a stunning Belgian cuisine restaurant that recently opened its doors to Islamabad. The gorgeous exterior and outdoor space, which quite literally resembles a European alley with the outdoor fountain adding to the ambiance, makes up for a great place to sit and enjoy a meal. The tour was running slightly late and it was eleven by the time we arrived at the last stop, which is way past bedtime for most Islamabadis. Some of the attendees seemed in a hurry to head home but when the desserts were served, everyone changed their plans! 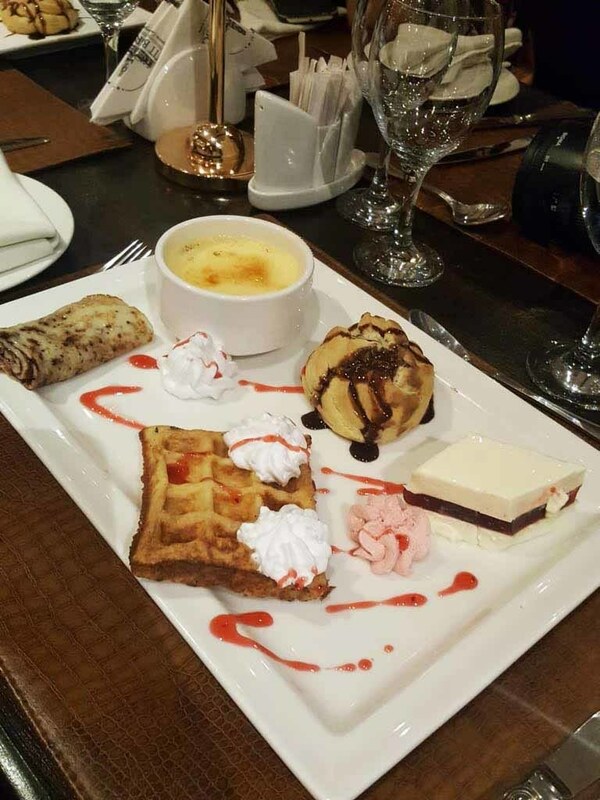 The dessert platter interesting held a wide variety of Belgian desserts; profiterole, crème brulee, bavarois, pancakes and waffles. The crème brulee was just the right kind of sweet and had the perfect eggy flavor with a crisp layer of caramel on top. Just the kind of dessert I needed to end my day with! 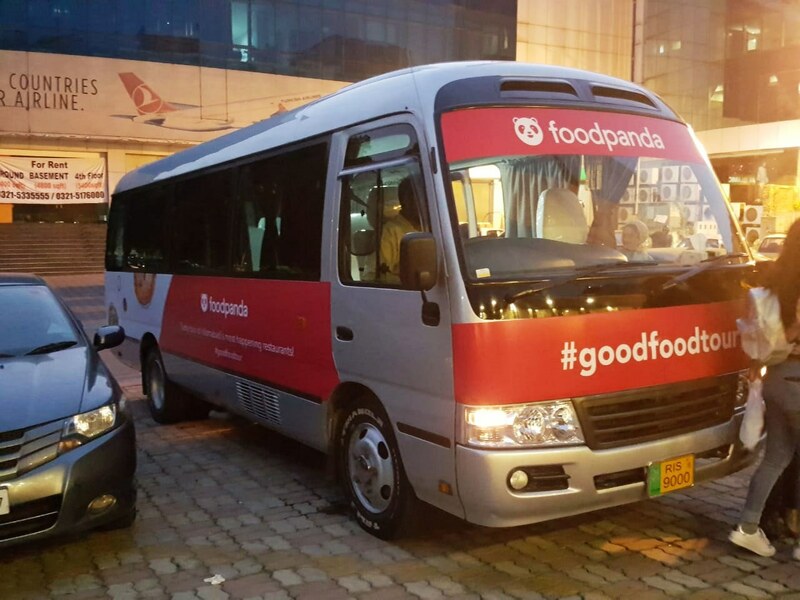 Kudos to foodpanda for organizing such a fun tour in Islamabad. 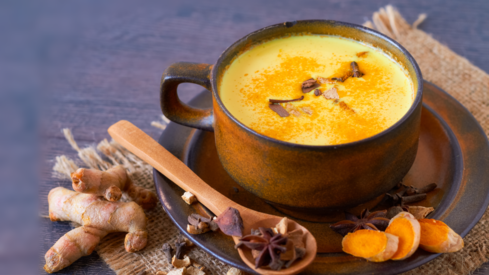 I personally feel that a food tour can host multiple activities between food stops to make the journey more fun, and can be perhaps scheduled for a weekend when more people can join in. But one can’t deny that this was a great first step. Islamabad, I'm sure, is open to more!